Over the last few months in the National Museum of Archaeology, Valletta, Malta, there has been an exhibition of the FRAGSUS project (https://www.qub.ac.uk/sites/FRAGSUS/). This has been an exceptional project I have been working on over the years, and as part of the exhibition I got to display some of the 3D reconstructions I have made of Maltese structures, mainly the Ghajnsielem Road house and the Xaghra Circle. These are fairly typical shots which can be found in many museum exhibitions and online (Sanders and Sanders 1998; Hixon et al. 2000). It is also reminiscent of online viewers such as Sketchfab. Now, I am a big movie fan. I am currently going through the 1001 Movies to Watch Before You Die list and I am really enjoying studying the cinematography of some of the films. The way lighting is set up, or the tinting of the scene and the movement of the camera, are all elements that for me make a good film and provide an intense entertainment experience. The aim of film and of 3D reconstruction animation is very similar: they are both presenting some kind of narrative to the public. The way films portray narrative and create aesthetically pleasing experiences is by using tools that could easily be imported into 3D reconstructions. So why not create more cinematic renders of 3D models for archaeological exhibitions? The use of less conventional rendering techniques can impact knowledge retention in the user. The perceived “warmness” of the cinematic experience increases the feeling of immersion, which can lead to increased learning (Favro 2012). Although the images are hyperrealistic, they will be familiar to the viewers as they belong to a medium that is commonly used. On the subject of accuracy, it is important to note that the realer the images seem, the more they may be mistaken for “absolute truth” (Eiteljorg 1995, 1998, 2000; Miller and Richards 1995; Gershon 1998 and many others). This is an inherent issue in all 3D reconstructions, but that I would argue is a deeper problem for all of archaeology: the very museum displays in which the 3D reconstructions are presented often follow a single narrative, while ignoring evidence against it or alternative theories. While it is therefore vital to ensure the correct information is accessible by the end user, it would be impossible to convey the complexity of a 3D reconstruction in a museum setting. As a wider argument for 3D reconstruction as presentation, I would propose that the finished render should have the liberty to display freely aesthetically pleasing imagery, even to the loss of accuracy. This is possible so long as the model is verified through careful research that is accessible and (when possible) peer reviewed. This would ensure a level of quality in the final render that takes into account inaccuracies but doesn’t limit the user enjoyment. A much longer discussion on the accuracy in 3D reconstruction is the subject of my current PhD Thesis, but I would suggest reading Sifniotis, M. (2012), which proposes a scientific method of dealing with inaccuracies. In conclusion, 3D reconstruction animation doesn’t have to be boring or “cold”. Rendering of 3D models can learn a lot from films when it comes to presenting to the general public. By creating aesthetically pleasing content, user enjoyment and learning become the priority. Eiteljorg, H. (1995). Virtual Reality and Rendering. CSA Newsletter Vol.7 No.4. Eiteljorg, H. (1998). Photorealistic Visualizations May Be Too Good. CSA Newsletter Vol. 11 No.2. Eiteljorg, H. (2000). The Compelling Computer Image – a double-edged sword. Internet Archaeology 8. Favro, D. (2012). Se non é vero, é ben trovato (If Not True, It Is Well Conceived) Digital Immersive Reconstructions of Historical Environments. Journal of the Society of Architectural Historians Vo.71 No.3 pp.273-277. Gershon, N. (1998). Visualization of an Imperfect World. IEEE Computer Graphics and Applications pp.43-45. Hixon, C., Richardson, P. and Spurling, A. (2000). 3D Visualizations of a First-Century Galilean Town. In: Barceló, J. A., Forte, M. and Sanders, D. H. Virtual Reality in Archaeology pp.195-204. Miller, P. and Richards, J. (1995). The Good, the Bad, and the Downright Misleading: Archaeological Adoption of Computer Visualisation. In: Huggett, J. and Ryan, N. Computer Applications and Quantitative Methods in Archaeology. Oxford: Tempus Reparatum pp.19-22. Sanders, J. and Sanders, P. (1998). Constructing the Giza Plateau computer model. Available: https://oi.uchicago.edu/research/projects/constructing-giza-plateau-computer-model-1990-1995. Last accessed 23rd Oct 2017. Sifniotis, M. (2012). Representing Archaeological Uncertainty in Cultural Informatics. PhD Thesis. A Theoretical Approach to Photorealistic 3D Video: the Future of Film and Gaming? Generally I am not a big fan of theoretical issues, especially when it comes to something as practical and visual as 3D modelling. This however is something I cannot really experiment with practically (or within an acceptable time frame), so for now it has to remain in the grounds of theory. It is also not strictly archaeological, although I’m sure some applications must come from it. What I mean with Photorealistic 3D Video is taking the still photogrammetric models you’ve seen before and applying movement to it. This can be done by using either stop motion or a combination of cameras to acquire the original footage, then modelling individual frames and putting the frames in a sequence. The acquisition of footage depends on what you are trying to achieve. If the object is still itself and it’s going to be moved frame by frame (like traditional stop motion animation) then a single camera is required. 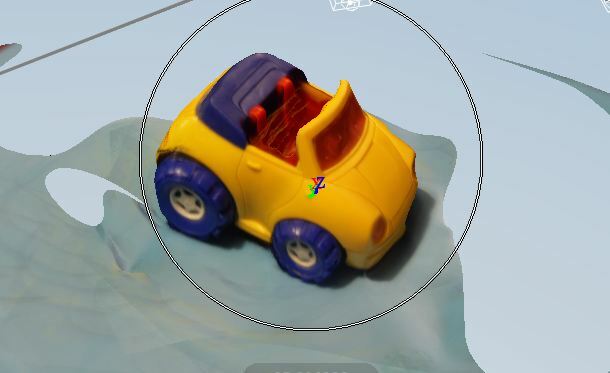 Instead of taking a single photo of the scene, like in standard animation, a series of images would be taken to make a Photogrammetric model, as explained previously on this blog. If instead the object is already in motion, as for example an individual acting out a scene, the trick is to use a large number of video-cameras that surround the object, using the same positions described before (a good example of this can be seen here http://www.webpronews.com/get-a-3d-print-of-yourself-in-texas-2013-08). With all the cameras then each frame is isolated as if photographs of the scene were taken at the same time from all angles. With either method, the results should be a large number of frames (24 for second or more depending on format), each of which is made up by 20 to 30 images. The second step is the creation of the models. 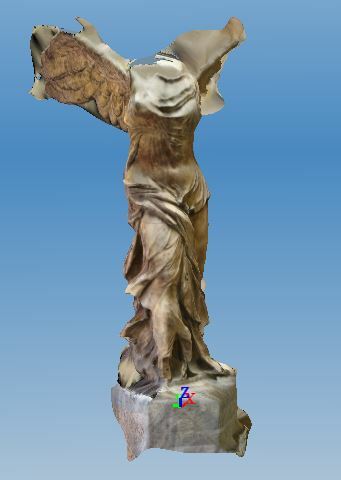 This can be done using 123D Catch or any other Photogrammetric software. Each series of images constituting a frame are hence transformed into a single rotatable 3D model. Then all the frame models are run through other software, at present I am leaning towards gaming software, but video editing software or animation software may be more suitable, so possible options are Unity 3D, Maya or After Effects. Some alignment will have to take place, but by superimposing the models on top of each other and making it so that a single one is visible at a time should create an animation effect, again like stop motion. This is the part I am most unsure about, due to it being quite a demanding task, which may be far too complex for computers at this time. Still, in the future it should be more than possible. At this stage the result is a series of still models that run through giving the illusion of movement. This can then be combined with technology that is now appearing on the market. 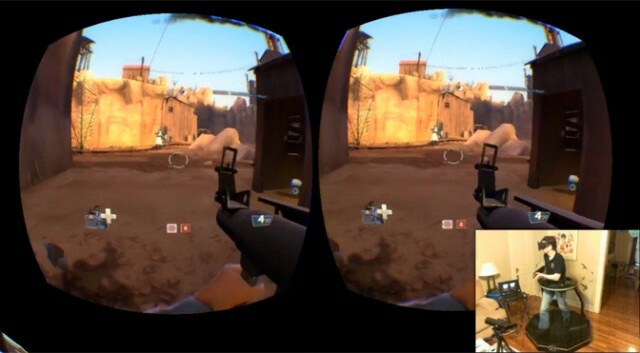 In particular it could be used with the Oculus Rift that is soon going to revolutionise how 3D gaming works. By tracking the position of the user, it would be possible to not only see the Photorealistic Video, but also move around it as if it were real. By combining more than one model an entire scene could be created, meaning 3D films in which the user is actually present within the film can become a possibility, as well as uber-realistic videogames.